As a homeowner or business owner, you know that you want to be able to take pride in the outward appearance of your property. In order to do so, your home or business must be cleaned on a routine basis. Exterior cleaning can be extremely arduous and tedious, regardless if you have a residential or commercial property. 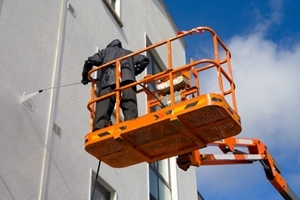 At RVA City Painters, our Richmond powerwashing contractors are here to help you with this difficult task. 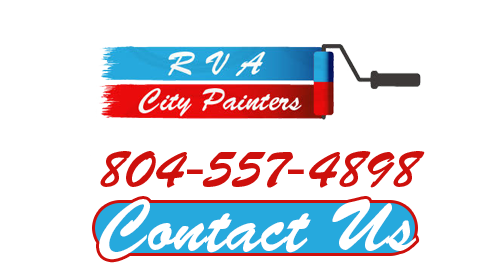 If you need help keeping your Richmond home or business clean, call RVA City Painters today. Through our professional power washing services, we can blast away years of dirt, grime, stains, and rust from any hard surface. Each portion of your home that we clean will be restored to its original beauty. Our staff can schedule your appointment for a pressure washing estimate today. Two of the most beautiful things surrounding a residential property are its fencing and decking. If you have a wooden deck or privacy fence, you understand how great these fixtures can look. You also know how years of neglect can lead these one amazing additions to your home to look dilapidated and unsightly. By hiring our powerwashing contractors, you can breathe new life into your deck and fence. We will customize our cleaning services to your wood surface. Afterwards, our Richmond painting contractors can re-stain or repaint these fixtures if you so wish. The results will be spectacular. One of the most difficult portions of any property to keep clean is the concrete driveway. These areas constantly collect rust, oil, and hydraulic fluid stains. On top of this, dirt can get embedded in concrete and algae can grow within its surface. Our Richmond powerwashing contractors can remove all of these surface contaminants from your concrete driveway or walkway. You and your family are guaranteed to be completely satisfied with the results. Power washing is also the optimal method to clean a wide array of different siding materials. Our Richmond pressure cleaning professionals have the knowledge, skill, and experience necessary to clean wood, vinyl, stone, masonry, and metal siding. In every project we undertake, we will adapt the pressure settings and cleaning methods to the unique surface to be cleaned and the specific stains to be lifted. In this way, we can clean your siding and property in the most exceptional fashion. All the while, we will constantly be focused on preserving and protecting your property throughout the entire process. You will take renewed pride in the look and feel of your home or business. In order to get the best finish when investing in an exterior painting project, you should really have the property's exterior cleaned first. Our power washing services are a great first step toward preparing exterior surfaces for painting. We can ensure the exterior siding or other surface to be painted is cleaned and properly prepared to receive the paint. You can rely on us for this as well as a variety of other painting services in Richmond and nearby. If you would like an estimate for powerwashing in Richmond or the surrounding areas, please call 804-557-4898 or complete our online request form.